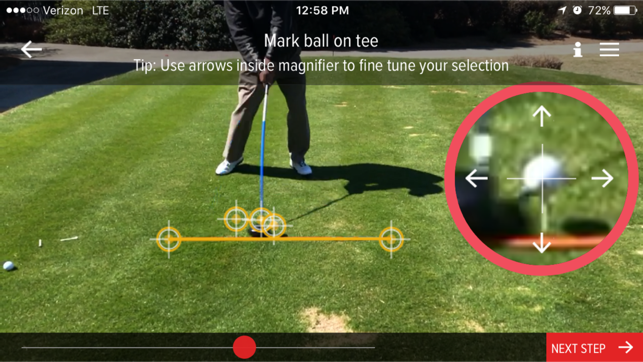 Bridgestone Golf BFIT app is the world’s first FREE launch monitor! 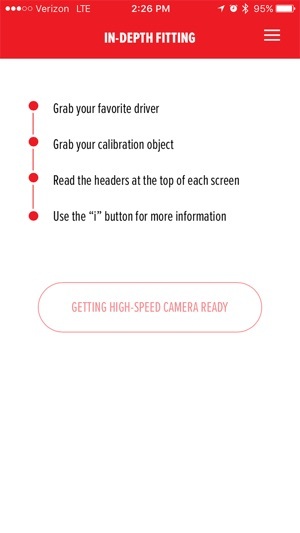 Measure your launch conditions with your phone and get fit for the perfect ball. 2,000,000 golf swings, 350,000 golf ball fittings and over 6 years of R&D study has led to a breakthrough that benefits YOU! 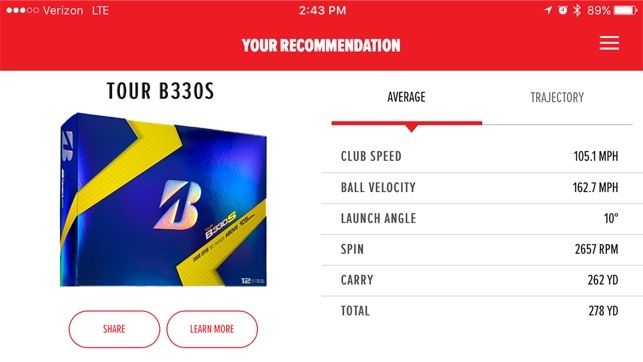 Bridgestone Golf has developed an app that not only fits you into the perfect ball, but also provides you with pivotal data about your game. 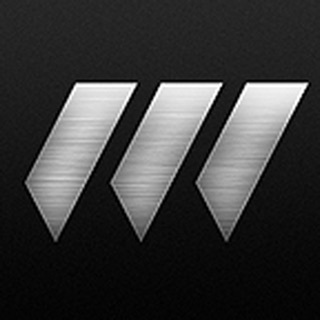 It’s a LAUNCH MONITOR for your device that can be downloaded for FREE! 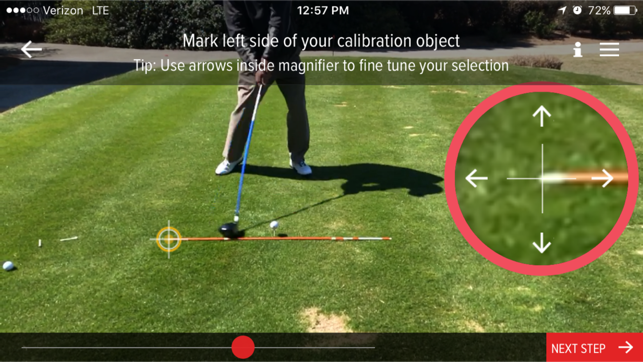 Each shot you hit with the app is recorded and analyzed in order to find the optimum golf ball for YOU. 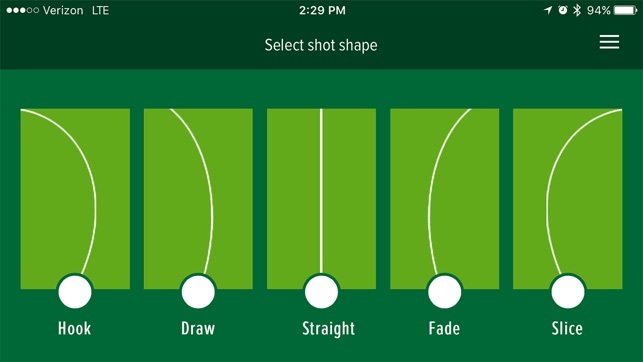 Use the app to gather launch conditions such as swing speed, ball velocity and back spin to help you find the best ball which will lead to improved scoring and ultimately a more fun golf experience. Take your golf game to the next level with the Bridgestone Golf BFIT app! BFIT is compatible with the iPhone 6, iPhone 6 Plus, iPhone 6s, iPhone 6s Plus, iPhone 7, and iPhone 7 Plus. BFIT requires the high-speed camera available to those devices, and is incompatible with iPhone 5, iPhone 5s, iPhone 4s, iPod Touch, or iPad. This app is intended for use outdoors. Indoor fittings are coming soon. I also had the dark camera issues. I was trying it inside and it was very dark. Once I went outside and cycled thru the 5 optimize video setting the picture was great. It took me a few times to get used to the calibration and marking. You need to be precise with the marking or the numbers will be off. I've been on Trackman before and the numbers the app said were pretty close. All in all a pretty good app for free. I too had a black screen when the camera launched. I touched the Optimize Video button in the lower left and within a few seconds, the camera started to work. I haven't taken it to the range yet so I will update once I do. This could be a cool app, but currently I have no way of verifying if it is even remotely accurate. Sure there's no left handed mode but even right handed mode doesn't work on a 7 plus. The camera is black when recording... that makes things difficult if you can't see anything. Please work out the camera bugs and add LH mode. I'll update this review. © 2017 Bridgestone Golf, Inc.